Prominent & Leading Manufacturer from Pune, we offer sintered bronze cartridge filter. Sintered Cartridge Filter to the clients which are designed under the guidance of skilled professionals in compliance with international standards. 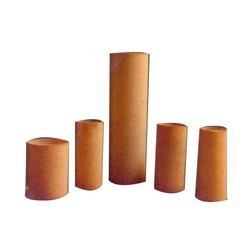 Our company is offering range of SS Sintered Cartridge Filter is known for its robust construction, corrosion resistance, perfect finish, easy installation and high durability.We are an eminent organization that is engaged in manufacturing, supplying and trading excellent quality Sintered Bronze Cartridge Filter. The ductility and strength of metallic structure of these filters increases their suitability for high pressure. Our products are easily cleanable and reusable resulting in reduced operation cost. Looking for Sintered Bronze Cartridge Filter ?